Bunny Cannon, $0.99, is another great game by Not Doppler. In this take on “where do bunnies come from?,” a young bunny’s mind runs wild with methods he was told by others. These methods, of course, incorporate launching blue (boy) and pink (girl) bunnies out of a moveable cannon at the top of the screen. Basically, the way to play is pretty simple: you can move the cannon at the top of the screen left and right, pulling down farther to launch the bunnies with more force. A tube of bunnies leading up to the cannon shows you what colors you have coming up, while a window in the cannon itself displays which bunny color you are about to launch. The key to the game is that when blue bunnies hit pink bunnies, which are strategically placed in the level underneath the cannon, they form an offspring, and vice versa. Each level has some blue and pink bunnies floating there for you to nail with your cannon to create more bunnies. As you can imagine, the combos can really add up quickly, infesting your screen with cute bunnies. So great, why do we want more bunnies? The object of Bunny Cannon is to fulfill the basket requirement of each level. At the bottom of the screen are baskets, some blue, some pink, some brown (they don’t discriminate a gender). By landing proper color bunnies into these baskets, you can rack up your score and beat the level. But, not just any amount will do. Each basket has a specific threshold that you’ll need to fulfill to advance past the level. Note that not every level has each basket type, some have just blue, just pink, just brown, or a combination thereof. If you go above and beyond the threshold denoted by the baskets, you can earn extra stars, up to three, on each level. In sum, from top to bottom the screen has your cannon with launchable bunnies, a level to get through containing walls and chutes and bunnies to hit, and then baskets to collect the bunnies you’ve created, sometimes requiring them to be sorted. Additionally, to make matters more challenging, some levels have obstacles that kill bunnies if they touch, like owls and sharp vines. 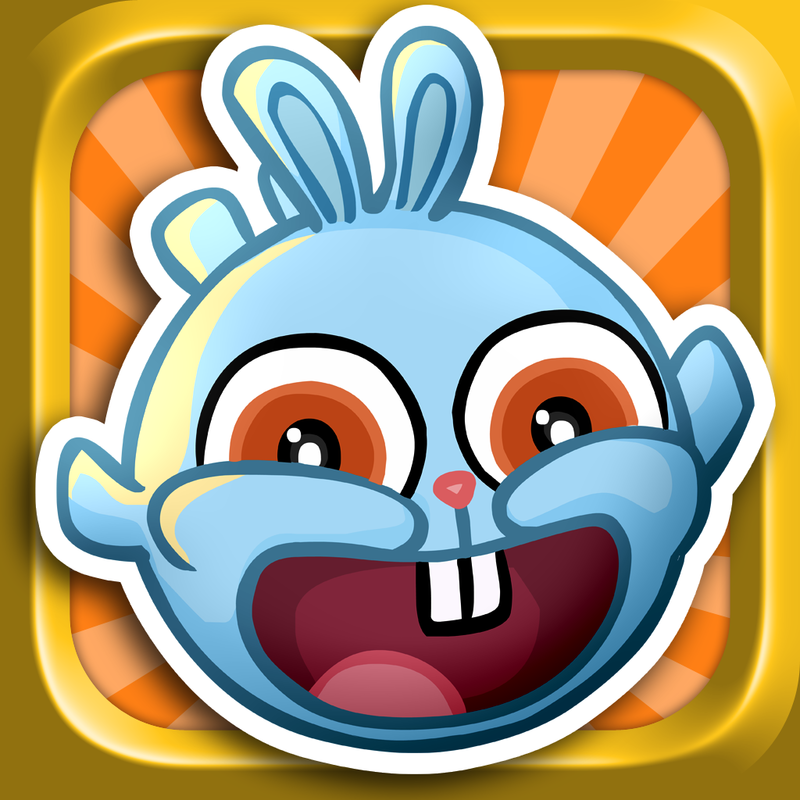 Bunny Cannon has 90 levels, some of which are very difficult. There are three “packs” of 30 levels, meaning that if you get stuck on one level, you can still play in a different pack. However, if you get stuck on a level in all three packs, your fun is pretty much over, with no possible way to bypass a level besides beating it. In general, the amount of levels is definitely sufficient but I’d maybe like to see another pack in the future sometime. There is also the rewind power-up, which lets you undo your last shot, but you only are given five for free. Furthermore, Bunny Cannon has not yet been optimized for the new iPhone screen size. My last complaint is that a lot of the game is basically reliant on very bouncy bunny physics to be in your favor, which is oftentimes due to luck, but on the flip side that actually adds a very nice touch of lightness to the game, reminding you that it is, after all, just a game. My final thoughts about Bunny Cannon: if it were free, it would be a must-have. For the dollar that it costs, I still highly recommend it, though it has some minor flaws. It is a creative, funny, and most importantly, fun way to spend time. 8/10!